It’s Labour Day tomorrow. It’s ironic that many low-paid workers are made to work Monday as any other day. The first Labour Day was a defiant rally organised by Wellington workers in 1890. The famous eight-hour campaigner, Samuel Parnell, weeks away from death, was the honoured guest. 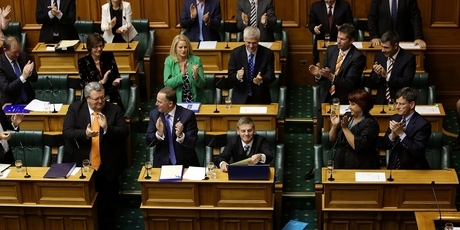 Within a year, workers elected the Liberal Government, which ruled for 21 years, still New Zealand’s longest-serving Government. Our society was heralded throughout the world as a "working man’s paradise" and a "country without strikes". Legislation protecting workers’ rights and conditions were unmatched anywhere. The union’s Labour Day was made a paid public holiday in 1899 to celebrate workers’ successes. It’s quaint we built this country on the ethos that if one human employs another they "pay a fair day’s pay for a fair day’s work". Now, a worker is not recognised as the producer of wealth for someone else. Instead, we are told they are a cost item to be reduced to enable the least consumer price for the maximum shareholder profit. The new truth is that our present economic system is fairer because it represents the free market at its finest. We are assured legislation to protect workers and provide a living wage distorts the market and therefore causes job losses. The people at the top who promote this view, of course, don’t practice it themselves. This week, MPs are up for a pay rise. They have a committee of highly paid bureaucrats that consults other highly paid bureaucrats before they decide the new incomes for themselves, their colleagues, MPs and local-body politicians. Then they send the taxpayer the bill. Nice system if you are a beneficiary. Imagine a trade union consulting its members and then deciding their members’ wages and then by law requiring the bosses to pay it. Why not appoint a 12-person committee chosen from the electoral roll along the same lines as we appoint juries? After all, we trust them to send fellow citizens to jail. Let bureaucrats negotiate with this panel. Let them justify why our senior managers wouldn’t do their job if we didn’t pay more than half a million dollars a year. What do backbench MPs do for their $200,000 salary packages, anyway? What qualifications and skills do they need? How do we measure their performance? What is the market rate when hundreds of applicants apply each election? In the Liberal Government, backbench MPs got no salary. Yet they passed numerous laws to help workers. A century later, MPs are paid triple the average wage while they dismantle workers’ rights. Something’s rotten when MPs and bureaucrats get a paid day off and can go out for a meal because workers are working. That’s not what our founders were fighting for. 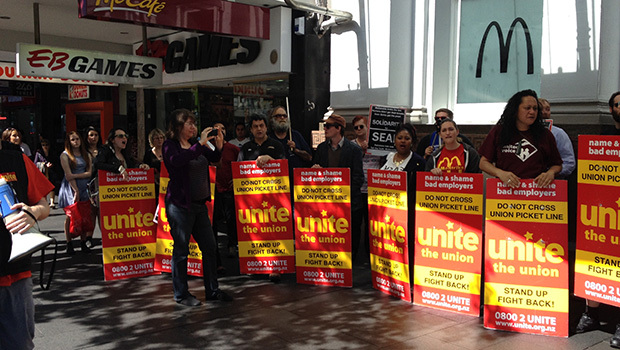 McDonald’s has sacked Unite Union delegate Sean Bailey for exposing serial law breaking by the company over not providing meal breaks for many staff working more than a four-hour shift as mandated under the current law. Sean Bailey drew international attention earlier this year during Unite Union’s “McStrike” campaign for a new collective agreement after he alleged he had been subject to systematic anti-gay discrimination. Among the several disciplinary charges brought against Sean in the last few weeks was one for comments criticising the company’s breaks policy before a parliamentary select committee into proposed employment law changes. The CTU conference this week has highlighted the dangers of insecure work to the health and well-being of working people. A major report released at the conference estimated that at least 30% of jobs in New Zealand fit into the category of “insecure” but the number could be over 50%. Workers in these jobs suffer from insecure hours, low pay, few benefits, ignorance of legal rights, lack of access to unions, unsafe and unhealthy work, little or no training. Insecure work affects those most who are already victims of discrimination and marginalisation and reinforces the inequalities that exist. I want to give a few examples from my own work as a union official for how this plays out in practice. The example I want to use is the SkyCity casino which is the largest private sector employer in Auckland with 3000 staff. The casino and convention centre is a legalised money-printing operation. Profits are virtually guaranteed. It operates on a 24/7 basis all year round and doesn’t have significant seasonal fluctuation. Management know pretty well how many customers they will have at any particular time of the day or month of the year. They can work out staffing needs accurately as a result. Despite that reality 2/3 of all staff employed are on part-time contracts that guarantee only 8 hours of work a week. Even core departments like Gaming Machines have been “restructured” from having a 2/3 full-time workforce to being 2/3 part time. In another core department, Table Games, all new employees are given part-time status and very few have been allowed to go full-time over the last few years. The excessive use of part time status is nothing about flexibility. They could easily run these departments with mostly full-time staff. What they get is a submissive workforce to scared to answer back. As a “part-time” worker it is very hard to assert your rights when your hours can be rostered down at management’s whim. It is much harder to get part time staff to join a union as well – for the obvious reasons. Despite the easy money and big profits being made at the casino it is actually a very poor payer to its own staff – even by NZ’s low wage standards. The start rate in most jobs is barely above the minimum wage and even skilled positions like Table Games dealers are way behind their international colleagues. It’s probably the only major casino in the world that makes its staff pay for parking and meals. I’ll give a couple of examples of just how mean this company has been in its drive for “flexibility” in order to squeeze the last dollar out of its workers. In the Hotel housekeeping departments nearly all staff are deemed to be part-time. In the past they used to have 8-hour shifts each day. A few years ago the company told all the housekeepers they would be working shifts of anywhere between 4 and 8 hours. There was no discussion. The company just said they only had to guarantee 8 hours a week not 8 hours a day under the contract. The workers were upset. Most traveled long distances from South and West Auckland. They told me they had been promised 8-hour shifts when they started. I managed to discover that about half of them had appointment letters saying that they would get the 8-hour shifts. We got about $15000 in back pay for that group and a guarantee that the 8-hour shifts would continue for them. There was a veiled threat from their HR that those workers who didn’t accept the reduced shifts would not be rostered as often which we had to push back on as well. I assume that since then all new staff have been given appointment letters with only the 8 hours a week guarantee and they now have the "flexibility" they wanted. Meanwhile these near minimum wage women are being forced to spend an hour of their pay to travel to and from the casino each day which could be 25% of their daily pay. Table Games dealers used to get a months training full-time on pay before qualifying to go on the floor. The company changed this to five weeks unpaid training plus 150 hours dealing on the floor in a part time role for the minimum wage before they “qualify” as dealers and can get the full rate. But they all remain “part-time”. 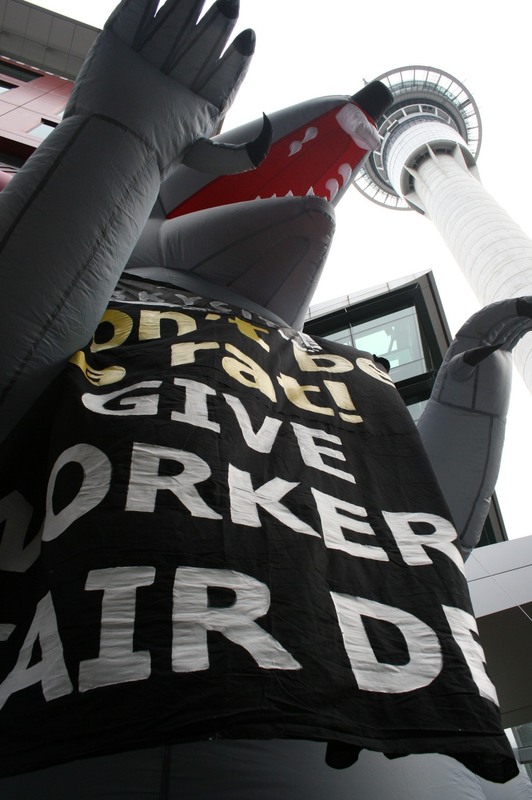 The government effectively subsides SkyCity as the workers can continue to get the dole while training. Nearly all staff in the Conventions Centre were deemed to be casual employees with no rights to overtime, annual leave, lieu-days for working public holidays. Workers would be sent home without pay for the tiniest infraction. This was actually all a legal fiction as they were being treated in a way that failed the legal test for being a casual employee. They were being rostered in advance and told they had no right to refuse work on certain days. Many of them had worked continuously for up to four years. When we tried to challenge what the company was doing they simply lied, stalled for time, reneged on deals and hoped the issue would go away. Eventually (after nearly two years of wrangling) we did get a settlement for the workers that cost the company around $150,000 and created a new more secure legal status for these workers. 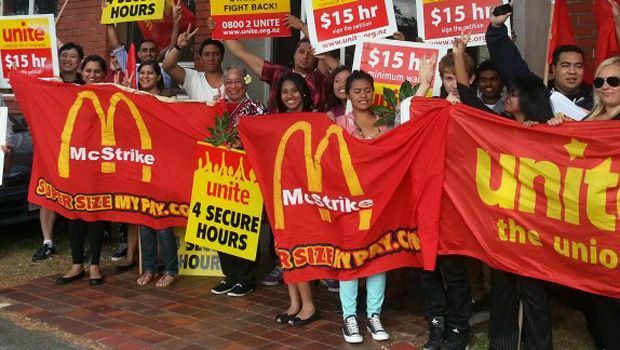 Unite also represent workers in the fast food industry. Generally there are no guaranteed hours in the employmment agreements. Again workers are often already vulnerable because they are either young, migrant, Maori, Pacifica and female. Many are subject to bullying and harassment from managers abusing their control over the rostered hours of their crew. We have put some controls over rostering in the collective agreements we have negotiated but it is not enough. We need to move from what we have called “secure hours” to our goal of “guaranteed hours”. What we learn from all this is that companies will do whatever they can to shift all of the risks of their business onto the workers. They want to hire and fire at will. They want to reduce (or increase) your hours at will. They want you willing to do the unpleasant or dangerous work without complaint. But workers want and need security. Their health and wellbeing as well as that of their families depends on that. Generally companies have been able to get away with imposing insecure work practices because the collective organisation of workers was eliminated for over 90% of private sector workers. Parallel with the decline in private sector unionisation that set in during the 1990s was a decline in collective action by workers to defend their right and living standards. Solutions to improving the living standards of workers and eliminating the pernicious effects of the growth in insecure work need to be found. The CTU has identified some legal steps that need to be taken. But there also needs to be a radical expansion of union membership and struggle to make those legal rights meaningful through enforceable collective agreements.